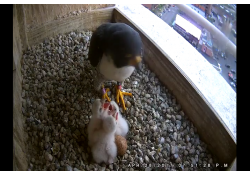 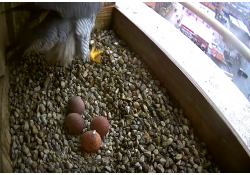 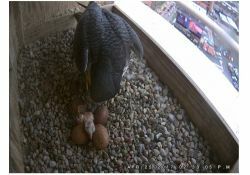 Yesterday morning our resident peregrines were excited by the presence of a third peregrine falcon. 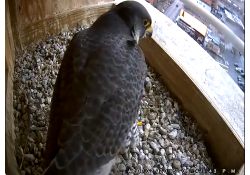 The Parapet camera has a loose connection and is not transmitting live feed right now. 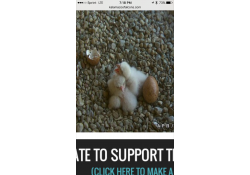 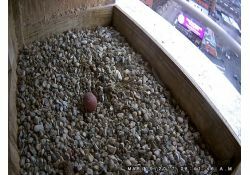 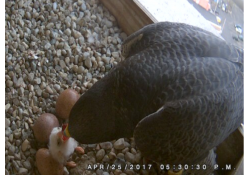 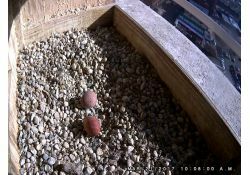 Rebecca laid the fourth egg just before midnight on 3/25. 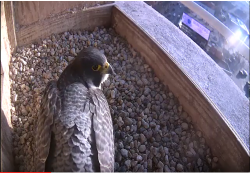 Rebecca and Kewpee are now visiting the nest box multiple times a day and both have been scraping the gravel in the bottom of the box to create a shallow depression where, hopefully, eggs will be laid in late March.